Michael B. Bressman is Of Counsel with the firm. Additionally, he serves as Professor of the Practice of Law at Vanderbilt Law School, where he has taught a variety of courses such as Contracts, the Law of Cyberspace, and Art Law. Michael directs the law school’s clerkship program, which supports students and graduates applying for post-graduation judicial clerkships. With a career spanning more than 25 years in premier law firms, as in-house corporate counsel, and as a professor at one of the nation’s leading law schools, Michael offers his clients the benefits of perspective and experience. Michael previously served as General Counsel of an internet education company and as Associate General Counsel of a telecommunications company. In those capacities, he handled a wide variety of matters involving intellectual property, contracts and business law, litigation and arbitrations, regulatory issues, internet and privacy concerns, and corporate governance. He also worked as an attorney in private practice in top law firms in Nashville and Washington, D.C., focusing on telecommunications and internet matters, litigation, contracts, intellectual property, and business and corporate law. Michael’s current legal practice at the firm and his work with the Vanderbilt Legal Clinic draw upon his depth and breadth of experience. He addresses a wide variety of issues confronting companies and individuals, ranging from contract drafting and negotiations to arguing a recent case in front of the U.S. Court of Appeals for the Federal Circuit. In particular, Michael’s continued work in intellectual property and cyberspace law make him an invaluable resource for business clients navigating the ever-evolving technological landscape. Michael is listed in the 2018 edition of The Best Lawyers in America© in the field of Trademark Law. Michael founded and supervises the Vanderbilt Intellectual Property and the Arts Legal Clinic—one of the first six law school clinics in the country authorized to practice before the U.S. Patent & Trademark Office (USPTO). The Clinic represents start-ups, small businesses, nonprofits, and artists in a variety of business, intellectual property, and litigation matters at both the state and federal level, including at the USPTO’s Trademark Trial and Appeal Board. A native of New Jersey, Michael has lived in Nashville for almost half of his life. He originally came to Nashville to attend Vanderbilt University on a full-merit scholarship. After college, Michael attended Harvard Law School, where he was an Executive Editor of the Harvard Journal of Law and Policy and President of the Harvard Law School Forum. Following law school, Michael served as a law clerk for the Honorable Karen LeCraft Henderson of the U.S. Court of Appeals for the District of Columbia Circuit. Michael is actively involved in the Nashville community and nonprofit organizations. He has served on the Board of Directors of the Arts and Business Council of Greater Nashville, the Tennessee Access to Justice Commission’s Education Committee, and as a member of the Commission’s Technology Committee. He also served on the Board of Directors of the American Judicature Society and the Nashville Cultural Arts Project. 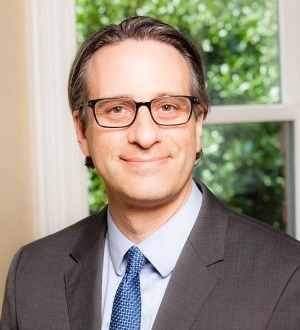 Michael has served as a Trustee of The Temple – Congregation Ohabai Sholom and was a leader in the development and building of the Ben Schulman Center for Jewish Life at Vanderbilt University. Michael is a member of the bars of Tennessee, the District of Columbia, and Georgia, as well as various federal courts. Michael is married to Lisa Schultz Bressman, a leading administrative law scholar who is the David Daniels Allen Distinguished Chair of Law at Vanderbilt Law School. They have three children.